Nissan Murano Forum > Model Specific Discussions > 2nd Gen (2009 - 2014) > 2009 AWD murano possable cvt leak??? 2009 AWD murano possable cvt leak??? 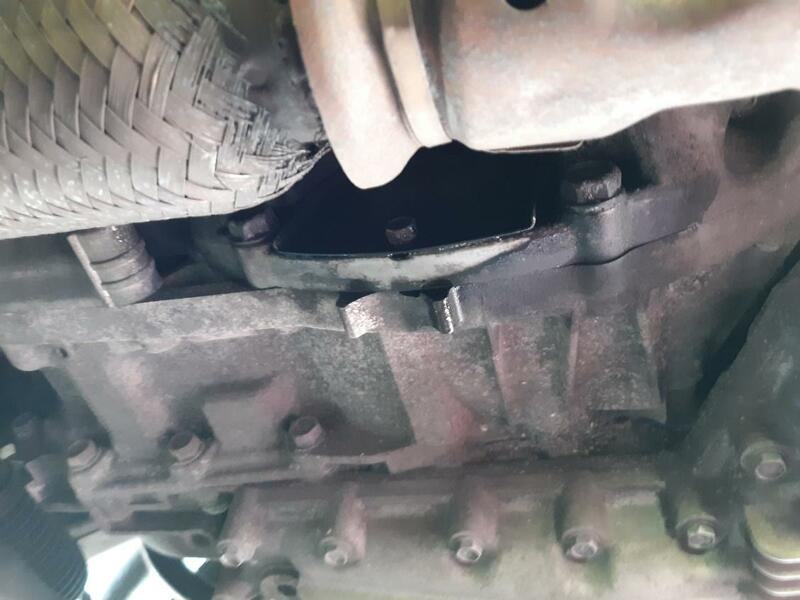 I was looking under the engine and discovered a leak between the engine and CVT at what appears to be a small plate about 3 or 4 inches long held on by 2 bolts it appears to be a plate you can take loose to look into the CVT housing. I didn't want to take it loose until I found out what I'm looking at. Anyone know with what I'm talking about and what could be the cause of the leak and a cure. I understand it is out of the extended warranty..
rinse it off clean then put cardboard overnight and see where it's coming from. I like to detail cars. If you have any detailing questions I'd love to help! it's not that, but thanks for the know how when that problem arrives i'll know what to do. I suggest the OP visit Nicoclub.com, download the service manual for his vehicle, and find out the function of the pieces he described. "when that problem arrives i'll know what to do..." sounds like an assumption that the vehicle is going to fail. Why make that assumption? 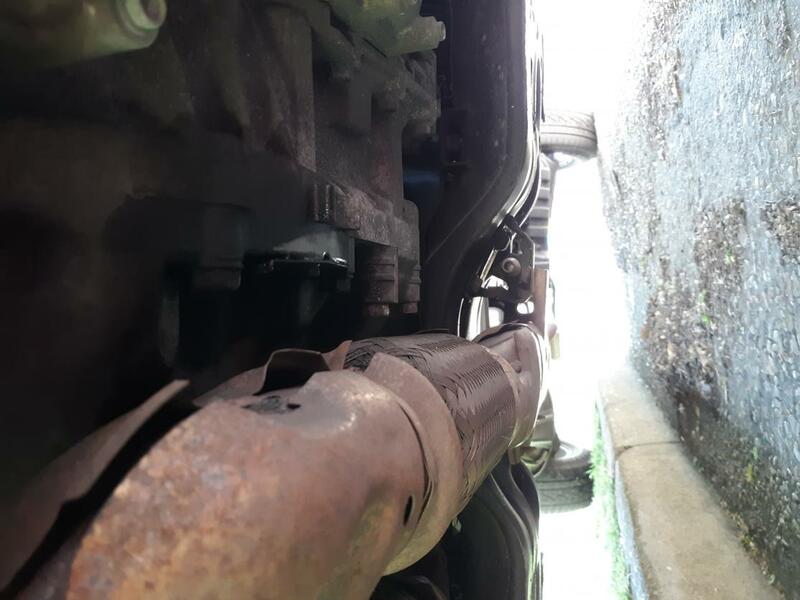 Oil cooler leaks are uncommon. Can you post pics? Odds are it's CVT fluid given the location. Can you discern the color of the fluid? If you have OEM CVT fluid in the transmission then the color would be green although if it's very old/dirty the color might not be apparent. Regardless, you should be able to smell the difference as CVT fluid has a very distinct odor from engine oil. Just take samples from each of the oil and CVT dipsticks and compare them to the fluid from the leak. You'll be able to tell right away. The leak I'm talking about is on the opposite side of the engine then the location of the oil cooler leak. I'll check if oil or CVT fluid tomorrow, I figured it would be a common problem and someone else posted pictures, but that's not the case. As soon as I seen the leak my heart skipped a beat and I seen $ sings. I"ll post a picture , this is a new leak just started. vq30's on 4th gen maximas had a little cover/inspection plate btw the engine and the transmission that would drip engine oil as the car got up in miles; iirc, that it was either the rear main seal or upper oil pan rear gasket weeping. 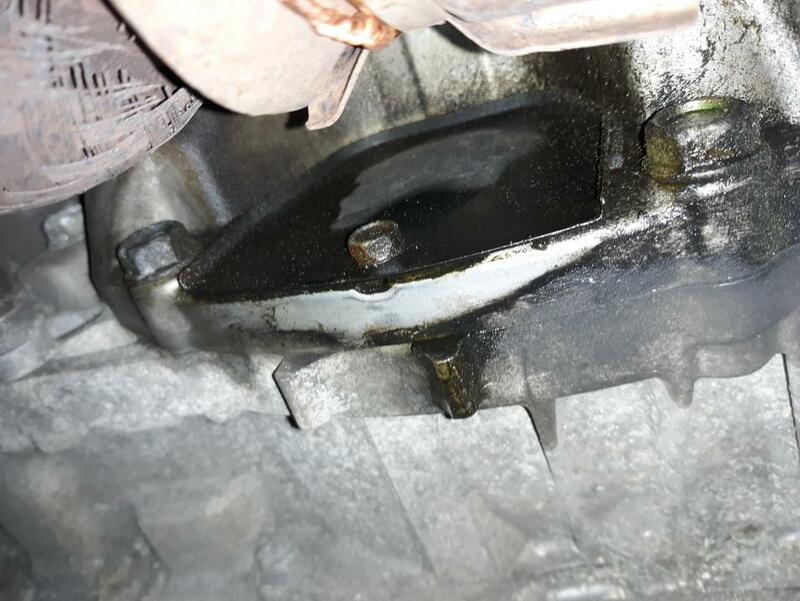 Not sure if it's oil or CVT fluid, The 1st pic is looking from front to back ,CVT is on right and engine on left.3rd pic is of the plate held on with one bolt not 2, but it looks like the leak is coming from the plate or whats behind it. That inspection plate is on the upper oil pan. Like the other poster suggested, it could be engine oil leaking from the upper pan gasket and/or rear main seal, but only you can determine for sure what that fluid is. Either way, if it's engine or transmission it will be an expensive repair because of the labor involved. Is it actually dripping onto the ground? It looks to me like a slow seepage leak. It's a very slow leak no drips. It's new though . What is behind the plate? upper oil pan is a challenge. With your car's mileage, I wouldn't bother fixing a seepage leak like that. Just check the fluid levels regularly to make sure they don't get low and whenever you get underneath the car to change the oil etc. you can clean it up a bit (...if you care). I want to change out the transmission fluid CVT NS2 for my 2011 Nissan Murano AWD car. Car has 89K miles now and we want to do a 2.5 thousand mile trip and I want to have maintenance up to date. Don't know how much to purchase, owners manual has a dash but no amount? Also, what's the average cost per qt or L.?